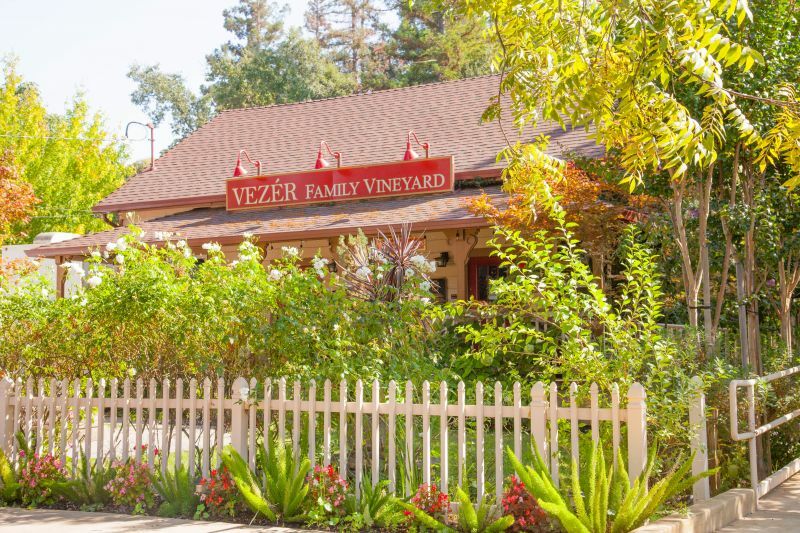 Vezer Family Vineyards holds a very special place in our hearts. It is a bit off the beaten track and not in Napa at all but in Suisun Valley. It is a hidden gem. There are many reasons for our fondness for this little family run place. We have many happy memories of their summer concerts, meet-ups with friends in their gorgeous gardens, a wedding, and the friendship we have with the Vezer family and staff. The owners, Frank and Liz, have been unbelievably generous to us. When I was going through serious health issues, they gave us many bottles of wine to wish me better health. They made us honorary members of their wine club and we have attended many of their events. These people know how to party! Frank invited me to their home and ranch vineyard; allowing me to photograph there. I was just starting out with my first camera and I didn’t really know what I was doing. Some of my favorite photos that I have ever taken are on their properties. It is also special to our group of wine friends who came together as a group in this place; our bond was formed there, thanks to Frank Vezer’s generosity. It is why this is our first post. 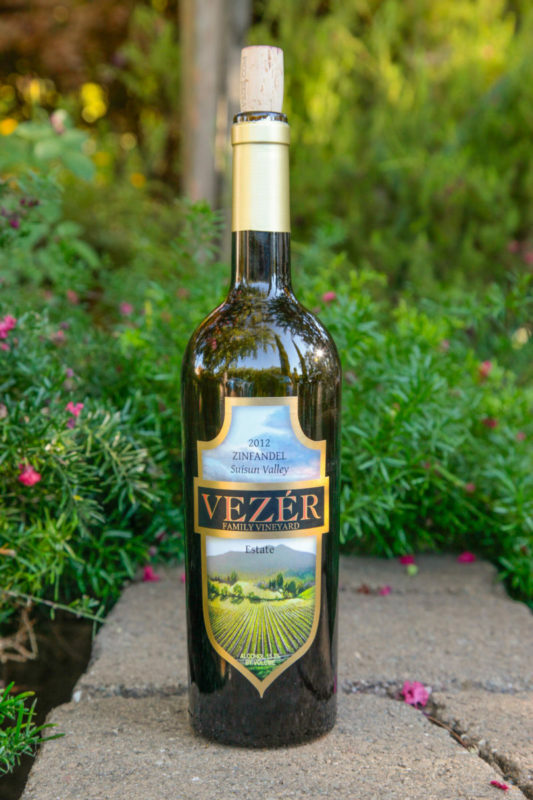 Thank you, Vezer Family Vineyards for all the joy and happy memories you have brought to our lives. 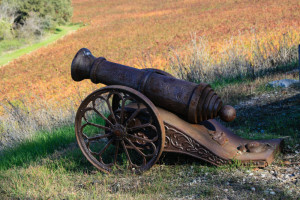 A canon protecting the vineyards at Vezer ranch. The sea of fall color you see are all grape vines. One of the wines I love to drink when I am there on a lovely sunny afternoon is their Verdelho. 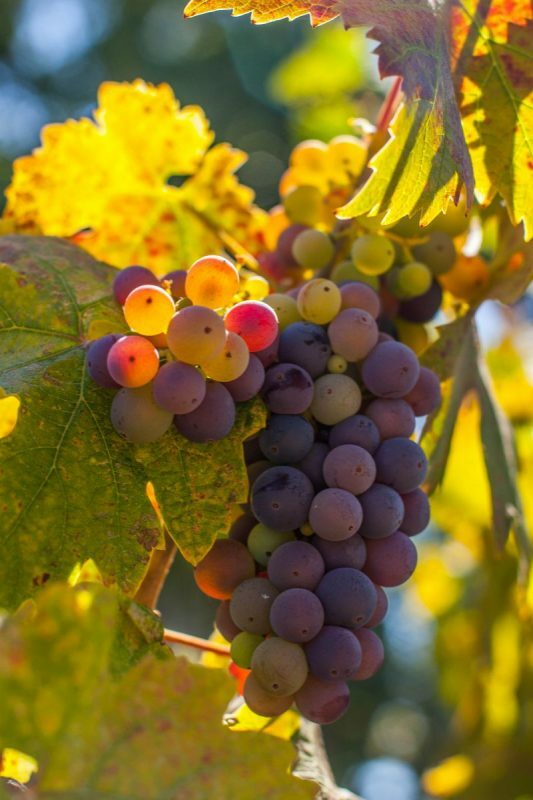 It is a Portuguese white wine grape in keeping with the family’s background. The wine is crisp, light, and flavorful. Not too dry, but not at all sweet. 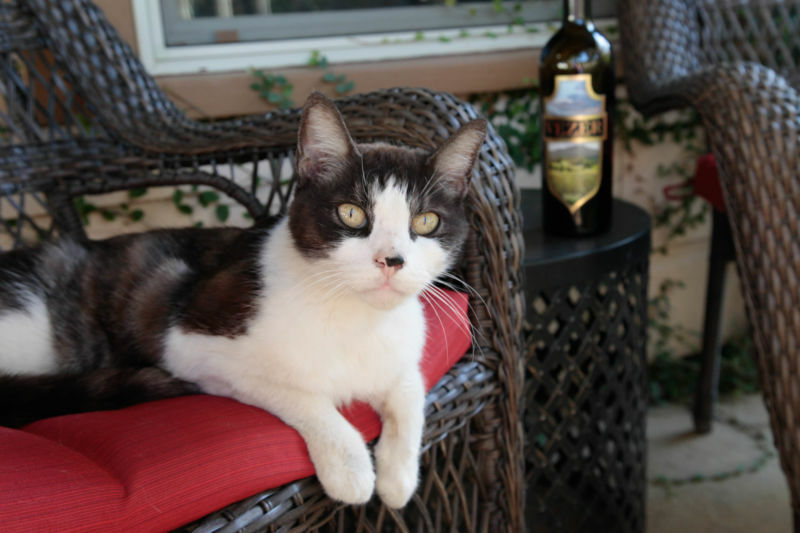 A great balanced wine; good for barbecues, picnics, and just for easy sipping. Vezer hosts many concerts throughout the summer months and I have consumed many, many bottles of this wine whilst enjoying bands at events like VezerStock. (Yep, you guessed it a 60’s themed event where people dress up in costume and come for a great time). We always have a blast! We recently opened one of those gift bottles from Frank, a 2006 Zinfandel that had been stored in our cellar and it was absolutely beautiful. Rich deep tones of berry, smooth and satisfying. We opened it on our niece’s 21st birthday celebration dinner and the wine was as memorable as the celebration itself. Everyone loved it who tried it; even picky me. For me, when talking about Vezer wines, I would describe most of their wines as “cellar wines”. What I mean by that is that they really benefit by being put away for a few years to mature. 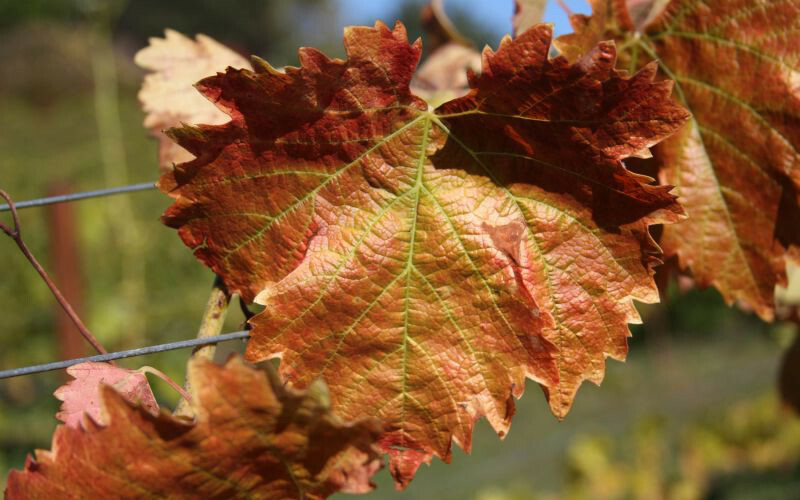 They age just beautifully giving you a wine that truly shines. Maybe they don’t have the Napa name on them, but they can contend with the big boys given a few years below their belt. We haven’t, for various reasons, been to Vezer recently. So we are excited to go and have a fresh tasting of what is in their current list so we can talk about what’s new over there. The vineyard is stunning and the people sound even better. It’s definitely nice to get off the beaten path and discover something less crowded and more unique.